You are currently browsing the archives for the Harry Reid category. This week, I failed to write a Thanksgiving Day post. Consider this my belated Thanksgiving Day post. Mostly, I’m thankful for my friends. I’m thankful for politicians, too, partially because they do some of the dumbest things imaginable. Thanks to this article, I’ve gained a new appreciation for a pair of U.S. senators. Specifically, I appreciate Sen. Grassley, (R-IA), and Sen. Reid, (D-NV). 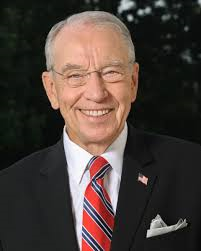 Late last week, Grassley decided not to honor a Senate tradition of holding up hearings for judicial nominees who aren’t cleared by their own home state senators. That tradition is known as the “blue slip courtesy” born out of time before nationwide communication technology when a given state’s senators had access to much more information about nominees than their colleagues from the rest of the country. Grassley correctly noted that Democrats were now trying to use the blue slips tradition to replace the filibuster, and he’s having none of that. As recently as last month, the Democrats and much of the news media’s punditry were expecting Grassley, who is no fan of the president, to keep the blue slip tradition in place. But Grassley gave Trump this very special gift instead. And that brings us to the Democrat who provided the initial generous source of President Trump’s solid triumph: Former Senate Majority Leader, and Democrat, Harry Reid. Reid is a major reason this good fortune has befallen President Trump because Reid was the one who killed the filibuster rule for judicial nominees in 2013. And when he killed it, it was gone for good. Consider that as of November 3rd, 13 Trump nominees to the courts have been confirmed this year. 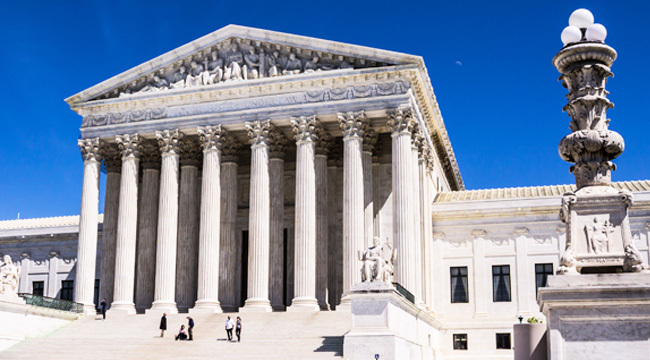 The big name is Supreme Court Associate Justice Neil Gorsuch, but we also have eight new federal appeals court judges, and four new U.S. district court judges. President Trump has now already surpassed the last four presidents’ records for first-year judicial confirmations. And he’s even tied President Ronald Reagan number of appeals court confirmations in year one. But this isn’t just about sheer numbers, it’s about ideology too. While President Trump and conservatives have diverged in matters of policy several times over the past year, the judicial nomination process is decidedly not one of them. The nominees sent to the Senate from the White House are more conservative and even younger than what we saw during President George W. Bush’s two terms in office. This wouldn’t be possible if not for Harry Reid’s short-sighted decision to eliminate the filibuster. Thanks Harry. I finally found something that he’s responsible for that I’m thankful for. Don Davis’ article about the Thursday night vote on health care contains quotes from Sen. Franken and Sen. Klobuchar. Specifically, both senators talk about the importance of bipartisanship. Sen. Franken, the Senate just debated health care. Lots of amendments were offered. Why didn’t you offer amendments to improve the bill? It isn’t like you didn’t have the opportunity. Was it because you didn’t want to defend your proposals on the Senate floor? It’s one thing to insist on bipartisanship. It’s another to not offer any substantive amendments that would fix the ACA. While Americans suffer from limited options and high prices, Sen. Franken and Sen. Warren celebrated. Left unanswered in all this is a simple question that the MSM intentionally hasn’t asked. When iPads first hit the stores, they flew off the shelves. When Microsoft Office first came out, it flew off the shelves. When FedEx first opened, it didn’t take long for Fred Smith to become a billionaire. Here’s the unasked question that Democrats haven’t answered: if Obamacare policies are so good, why is the individual mandate required to get people to buy health insurance policies? Is it because the product stinks? Is it because the product’s price is too expensive? Sen. Klobuchar, I wish I could say I was surprised that you voted against each Republican health care reform proposal. Unfortunately, your votes were entirely predictable. On Facebook, you said “We can still put aside partisanship and instead work together on bipartisan solutions that will help every American. That’s utterly insulting. When Democrats passed the ACA, Democrats displayed nothing but partisanship. In fact, Harry Reid didn’t allow Republican amendments to the bill. At the time, I don’t remember you criticizing Sen. Reid for this blatant act of partisanship. Now that Obamacare is a failure and insurance companies are either pulling out of the exchanges or they’re demanding huge premium increases, we’re being told that bipartisanship is a must. Why do I think that talk of bipartisanship will disappear the minute Democrats retake the majority? Honestly, I don’t care if there’s bipartisanship if either party gets this reform right. Right now, I’ve seen that the Democrats’ plan has failed pretty much everyone except those with pre-existing conditions. It’s time you admitted that your ideas failed. Further, it’s time for you to move in the Republicans’ direction to solve this crisis. That means voting for Republican ideas. The ACA has caused dramatic spikes in premiums while barely increasing the number of people insured. In short, you’ve failed. It’s time for you to vote with Republicans. Period. In summarization, the Democrats’ plan is failing. That’s because Democrats didn’t listen to the consumer on what the consumers wanted. Instead, Democrats told their constituents what they’d be forced into getting. Predictably, that top-down approach has failed. People want to have options. The ACA hasn’t given people the options that they’ve had prior to the ACA. That’s before considering how nasty Harry Reid was on multiple occasions over several years. That’s because they’d know that the ACA started collapsing a year ago. Its collapse is inevitable because it’s terrible legislation. A relatively healthy person is better off not buying insurance because the ACA’s out-of-pocket expenses (premiums plus deductibles) in some states are so high that families are better off paying the penalty rather than buying the insurance. As I’ve written before, the ACA is catastrophic coverage at Cadillac plan prices. And I can’t help thinking back to 2009. Republicans made an all-out effort to stop the Affordable Care Act. Their motives were purely political; some GOP senators railed against policies they had favored in the past. Ultimately, they failed. Obamacare became law. But this losing battle gave tremendous energy and passion to the tea party movement — which propelled Republicans to a sweeping victory in the 2010 midterm election. It is hard not to see an analogous situation on the Democratic side right now. Democrats haven’t learned the TEA Party lesson, which is that politicians better listen to We The People or else. Harry Reid and Nancy Pelosi didn’t listen to people and lost 12 seats and 63 seats respectively. Chuck Schumer isn’t listening to the people, either. The chances of Democrats picking up Senate seats is remote at best. Democrats cannot stop Gorsuch from being confirmed. But they can hearten and animate the party’s base by fighting this nomination tooth and nail, even if it means giving up some of the backslapping comity of the Senate cloakroom. They can inspire grass-roots activists to fight just as hard to win back state legislatures and governorships. They can help make 2018 a Democratic year. This is delusional thinking. Democrats will lose more governorships and legislative seats because they’re owned by special interests. They haven’t talked about doing what’s best for the people. President Trump constantly talks about putting people first. Democrats reflexively side with environmental activists, which has alienated blue collar union rank-and-file. Democrats in Illinois haven’t pressured Rahm Emanuel to actually crack down on Chicago’s crime-infested streets. New York City’s City Council hasn’t blasted Bill De Blasio’s sanctuary city policies. In both cities, people don’t feel safe. Former President Obama insisted that terrorism wasn’t a threat while ISIS killed people in shopping malls and at Christmas parties. The Obama administration insisted, too, that the borders were secured. Voters knew that wasn’t true. Voters won’t vote for the party that won’t protect them. Right now, people don’t trust Democrats to handle the basic government functions. Until that happens, people won’t trust Democrats. Stupid then or dishonest now? One of the questions that the supposedly MSM isn’t asking of Democrats concerns Judge Gorsuch is exceptionally straightforward. First, let’s inform people who’ve been comatose for the last 10 years that Judge Gorsuch was confirmed to the 10th Circuit Court of Appeals with a 95-0 vote. That means Chuck Schumer voted for his confirmation. That means Joe Biden voted for him. That means Ted Kennedy voted to confirm him. That means Harry Reid voted for him. One of the silliest arguments being made against confirming Judge Gorsuch to the Supreme Court was made by Nan Aron, the founder of the Alliance for Justice. She told FNC’s Tucker Carlson that this time it’s different because the appointment to the Supreme Court is a lifetime appointment. 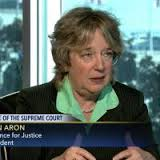 Ms. Aron’s reply is silly because appointments to all appellate courts are lifetime appointments. But I digress. The questions that the MSM should ask Democrats that voted for Judge Gorsuch then and who are still in the Senate is this: Are you being dishonest now in calling Judge Gorsuch names? Were you that stupid when you voted to confirm him in 2006? If you’re being dishonest now, why should people trust your criticisms? If you were hoodwinked in 2006, why should people think that you aren’t getting it wrong this time? Nan Aron’s opposition to Judge Gorsuch is simple: he wasn’t appointed by a Democratic president and because he’s wrong, in Nan’s opinion, on abortion. Aron’s litmus test, her religion really, is that everyone should ‘support a woman’s right to choose.’ Anyone who doesn’t hold that view is outside Ms. Aron’s mainstream. Democrats like Elizabeth Warren, Corey Booker and Bernie Sanders won’t hesitate in filibustering Judge Gorsuch. That’s because they’re thinking about running for president in 2020. If they don’t filibuster, they’re toast in 2020. What’s still in question, though, is whether red state Democrats up for re-election in 2018 will filibuster, too. Sherrod Brown has announced he’ll vote against confirming Judge Gorsuch. The rest of the vulnerable Democrats are sitting silent. Eventually, they’ll face a moment of truth. I don’t expect to see lots of profiles in courage at that point. The Democratic Party of Hubert Humphrey, Daniel Patrick Moynihan and Scoop Jackson is ancient history. The Democratic Party of Barack Obama, Harry Reid, aka The One-Man Pocket Veto, and (especially) Chuck Schumer can be described succinctly. They party of Obama, Reid and Schumer is all obstruction, all the time. This isn’t surprising. Democrats are upset because they thought they’d get former President Obama’s third term. They thought they’d win back the majority in the Senate, too, so they could confirm lots of liberal justices. Instead, they nominated a corrupt politician who snatched defeat from the jaws of victory. Instead, they gained 2 seats in the Senate when they needed 5. The important point, though, is that today’s Democratic Party isn’t interested in being public servants who listen to their constituents. Today’s Democratic Party isn’t interested in putting America first. Today’s Democratic Party is mostly about complaining when they don’t get their way. Today’s Democratic Party is about obstruction when people say no to their ideological wish list. Simply put, Sen. Merkley has passionately and emphatically stated that his fidelity is to the Democratic Party, not the people he was elected to represent or the Constitution he swore an oath to defend. The Senate Leadership Fund (SLF), which has ties to McConnell, quickly sent out emails questioning whether the red-state Democrats would back Merkley’s filibuster. Democrats only care about maintaining power. The truth is that the hardline left (think Bernie Sanders, Elizabeth Warren, Harry Reid, Keith Ellison, John Lewis, John Conyers and Nancy Pelosi) has become totally unhinged. They aren’t capable of rational thinking at this point. When that’s the leadership of the Democratic Party, bipartisanship is virtually impossible. What’s yet to be determined is whether the DLC wing of the Democratic Party will reassert itself and save the Democratic Party from itself. At this point, I’ll predict that will happen but not until after a lengthy civil war for the soul of the Democratic Party. Keith Ellison is hoping to turn his support of Bernie Sanders, then Hillary Clinton, into a winning message in his bid to become the next chairman of the Democratic National Committee (DNC). At this point, outsiders think Rep. Ellison is the leader to succeed Debbie Wasserman-Schultz as the full-time chair of the DNC. Whether DNC insiders think that is another matter. I don’t doubt that Ellison has the ability to unite the Democratic Party. That isn’t the Democratic Party’s problem. The Democrats’ biggest problem is that they’re far off the left end. Their other major problem is that they’ll do anything that the environmental activist wing of the Democratic Party wants. That why they’ve alienated blue collar workers like miners and pipeline builders. Until blue collar Democrats insist that the Democratic Party incorporate their agenda into the Party’s agenda, they should make clear that their votes will go to the party that listens to them. Period. Politics should be, to a certain extent, about which party has actually listened to that constituent group. On that note, it’s impossible to picture Keith Ellison guiding the Democratic Party to be ideologically inclusive. It isn’t difficult picturing the DNC being more ideologically rigid under Ellison, though. The perfect Democrat is a toothless Democrat. These days, there’s lots of toothless Democrats in DC. House Democrats have been toothless since January, 2011. Now it’s the Senate Democrats’ turn to feel impotent. They’re feeling impotent because outgoing Democrat Leader Harry Reid went nuclear in 2013. Now that there’s a Republican administration forming, Democrats are finding out that they can complain a lot and little else. For instance, Sen. Joe Donnelly, (D-IN), said “Tom Price has led the charge to privatize Medicare, and for this reason, I cannot support his nomination” this past week. His statement sounds tough but Price’s confirmation is all but official. Incoming Senate Minority Leader Chuck Schumer would love to stop Jeff Sessions’ confirmation as Attorney General because Sen. Sessions will shut down illegal immigration. 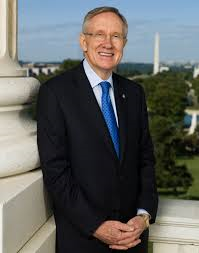 Thanks to Sen. Reid invoking the nuclear option, he’s toothless. 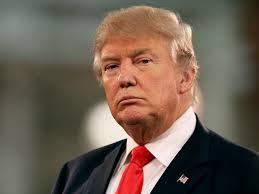 What idiot thinks that they’re going to win back coal miners and steel workers talking like that? I don’t doubt that Ms. Vanden Heuvel thinks that. Even if it’s true, which it isn’t, why would a coal miner support Ms. Vanden Heuvel’s policies? Hardline progressives like Ms. Vanden Heuvel simply don’t appeal to blue collar workers because their worship of the environment turns huge parts of the upper Midwest off politically. If this is the new identity of the Democratic Party, they’d better prepare to lose lots of races in the 2018 midterms.